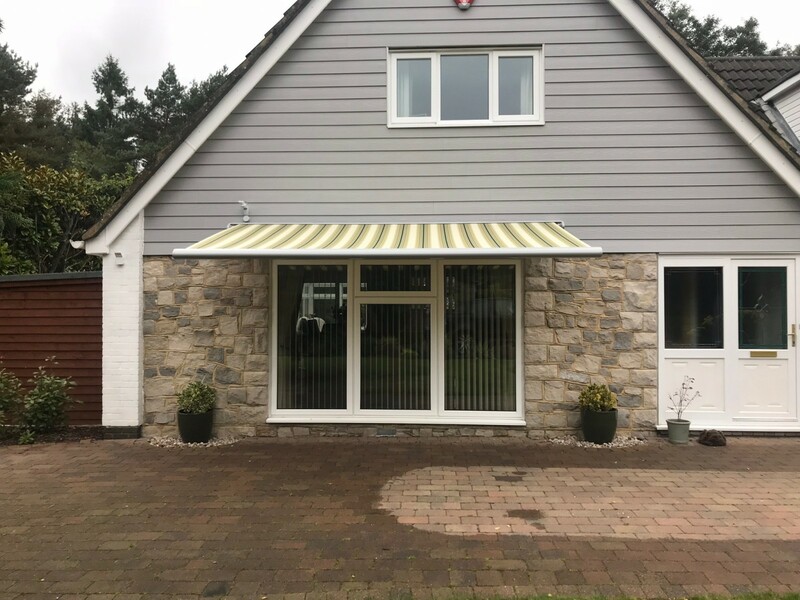 We recently fitted this lovely Weinor Cassita Awning to a Bungalow in Ringwood. 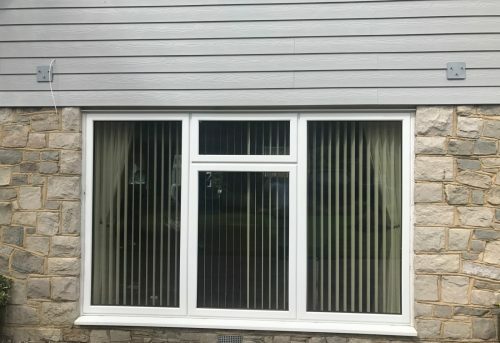 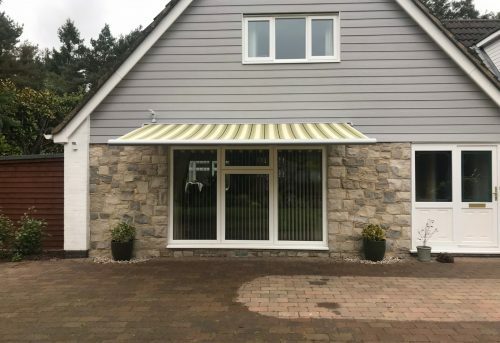 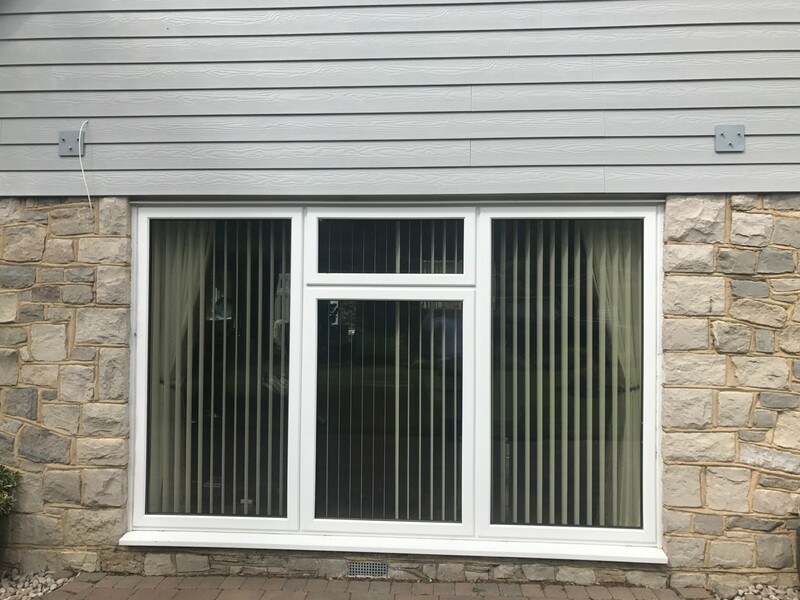 The bungalow was due to be re-cladded and the owner wanted a replacement patio awning to be fitted too. 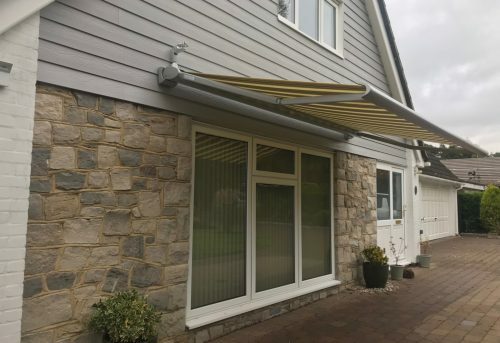 However, cladding is not strong enough to fit an awning to, so our client was unsure that this would be possible. 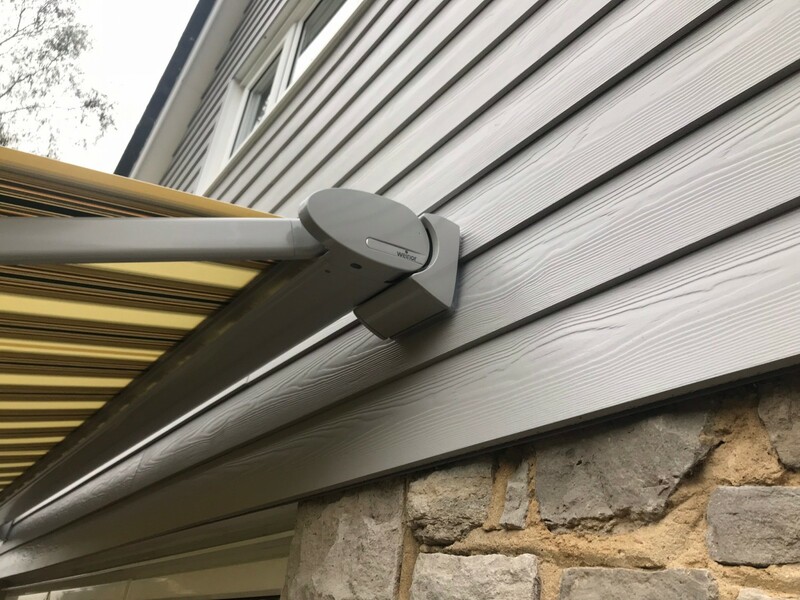 Undeterred, we made up some specialised brackets that could be fitted before the cladding was done and that the cladding fitters could work around, as shown in the photos below. 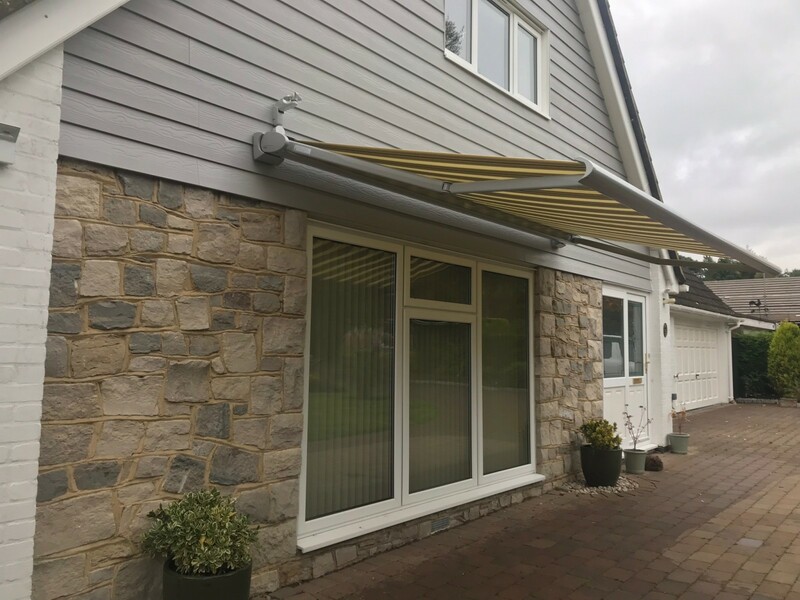 The Weinor Cassita Awning with wind sensor was then fitted once the cladding was complete. 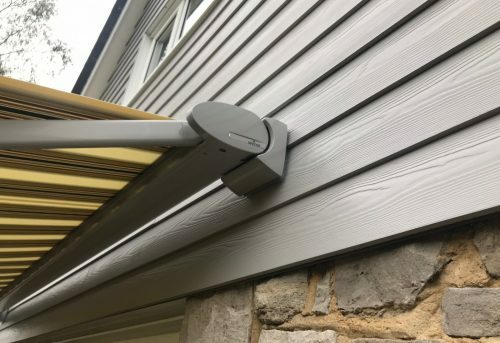 We also matched the colour of the brackets to the colour of the cladding for a neat and tidy finish.